We continue to create unique and interesting projects from our huge supply of natural-edge, salvaged lumber. We get requests to provide coat racks of all shapes and sizes. These popular wood coat racks make a great accent piece. We build a large number coat racks either finished, unfinished or partially finished. They are simple, functional and decorative, adding some living warmth to your entry way. Rustic Poplar ready to be mounted and made into a feature piece. 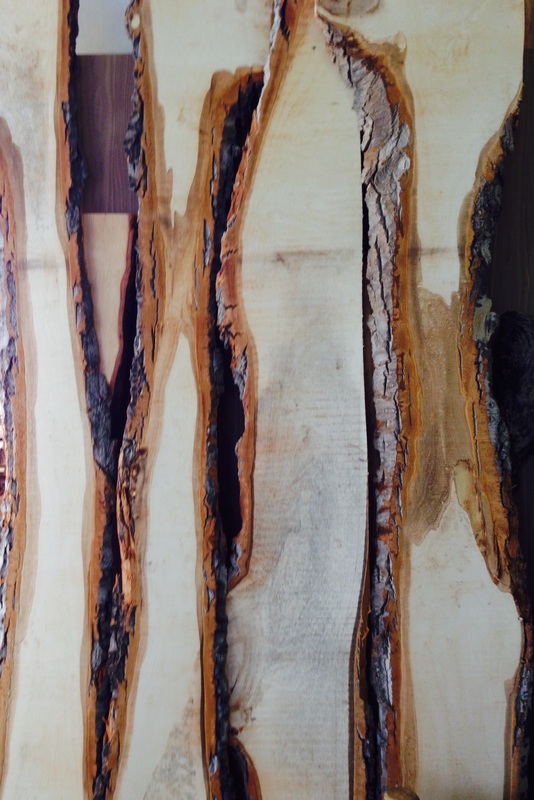 At Refined Rustic Furniture we have a large selection of raw 1″ live edge slabs to make a great rustic look. We use locally rescued Poplar, Pine, Spruce and Aspen to name a few. They’re often stained and finished with a large variety of colours. The variation of the natural grain creates a truly warm natural feel. They’re definitely a good place to hang your hat at the end of a long day. Each piece is unique and different allowing for something one-of-a-kind. We have in stock Pre-built coat racks that can be picked from and taken home right away. We also cater to individuals with custom and DIY needs. We keep stacks of unfinished and unprocessed material for you to chose something unique that fits exactly with your decor. For our large DIY crowd we can process as much as you need. We can include planing, epoxy, sanding and more to bring out the beauty. You can take over anytime to finish off the rest. This stack of live edge slabs is a perfect starting point for a coat rack. Virtually any hanger can go on your slab. Brass, Chrome, Matte Black are some choices. Bring your own, or choose from our in-store selection. Truly the wood is the focus anyway, the real question is what live edge slab do you want? Wheather its dark, light, golden, glossy or flat each slab has its own unique colourations, variations and rustic appeal. With extra processing including some sanding and finishing you’re ready to go. This piece of live edge pine locally rescued, has been darkened with espresso stain to create a rich vibrant colour. Come down to Refined Rustic Furniture and see the great selection of coat racks and unfinished slabs. These slabs have also been used and re-purposed. Some other ideas have been, a multi-picture frame, shelves, door casings, window sills, even fireplace accents and mantels. Our customers are the ones that come up with the most unique and interesting ideas. We are always interested to see what ideas people will come up with next. We invite you to visit us at the store, view samples, brainstorm ideas, and create your personalized project, we may have just the perfect piece for it!